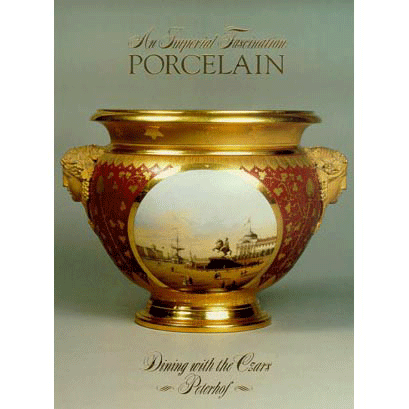 An Imperial Fascination: Porcelain. Dining with the Czars: Peterhof. Catalogue of an exhibition at A La Vieille Russie of porcelain services from the Russian Imperial Palaces, from the collections of the State Museum in Peterhof. Paul Schaffer, Editor. Texts by Nina V. Vernova, Vadim V. Znamenov, Tamara N. Nosovitch. A La Vieille Russie, New York, 1991. Please contact A La Vieille Russie to order a copy. Excerpts from the exhibition may be found here.